The leaks, they continue! Just hours ago, we reported on Facebook’s App Store alternative Project Sparta and only yesterday, we talked about an Instagram-like photo sharing app that Facebook is working on. 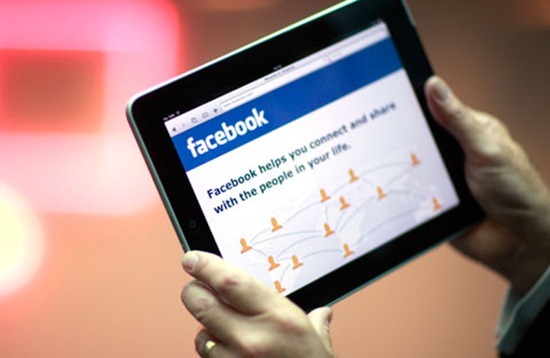 Now, according to NY Times, Facebook is on the verge of releasing their very own iPad app! It’s been more than a year since the iPad released and we still have no official Facebook for iPad app. There are plenty of unofficial apps and they are actually quite popular: Friendly, MyPad for Facebook and Facely HD are among the most downloaded apps on iPad. Although Facebook’s HTML5-based mobile website is optimized for touch screens, it just does not make proper use of the 9.7” screen on the iPad. Facebook’s app for iPhone was there when the App Store launched in 2008 (keep in mind that Facebook for iPhone is the most downloaded iOS app of all time), yet it has been more than a year now and there is no official Facebook app tailor-made for the iPad. Today, New York Times reports that Facebook is planning to release a free iPad app “in the coming weeks”. The app has been in development for over a year, has been carefully designed and is optimized for the tablet. It is guaranteed to be hugely popular among iPad users as there is an extraordinary demand for it. Talking about the app’s design, one of NYT’s source said, “The photo and video experience is amazing, offering full resolution and full-screen images”. Facebook’s designers and developers have overhauled Chat and Groups to make use of the larger screen. The app will have features that go “beyond” Facebook’s website such as allowing users to shoot and upload photos/videos directly from iPad’s built-in cameras. NYT also states that Facebook plans to introduce a tablet optimized mobile website for the iPad (which, we believe, will also work on Honeycomb tablets) which will simply supplement the native app. How it will “supplement” is something only time will tell! Facebook declined to comment on today’s reports. Thoughts? Are you looking forward to the official app? Or are you satisfied with the current Facebook Mobile/Friendly/MyPad for Facebook experience?